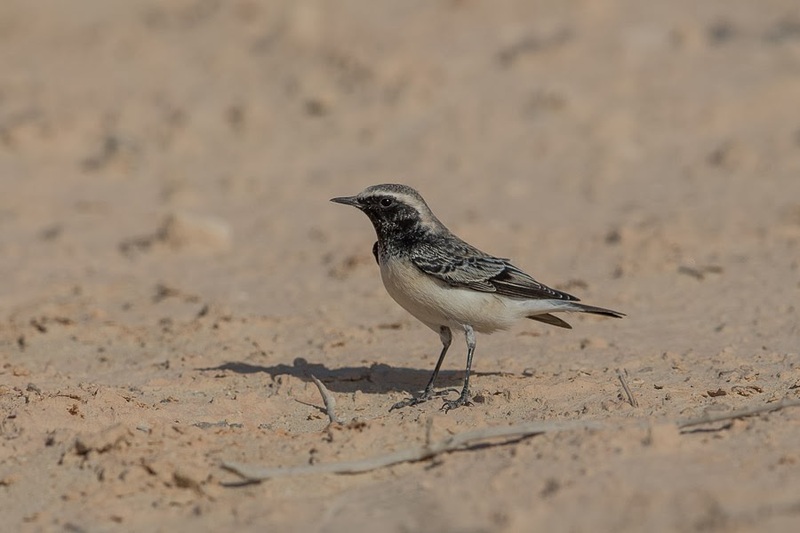 A trip to the ‘patch’ produced the first real wave of Pied Wheatears of the autumn with more than ten birds seen around the scrubby desert area. There were females and first year males as well as a single adult male. 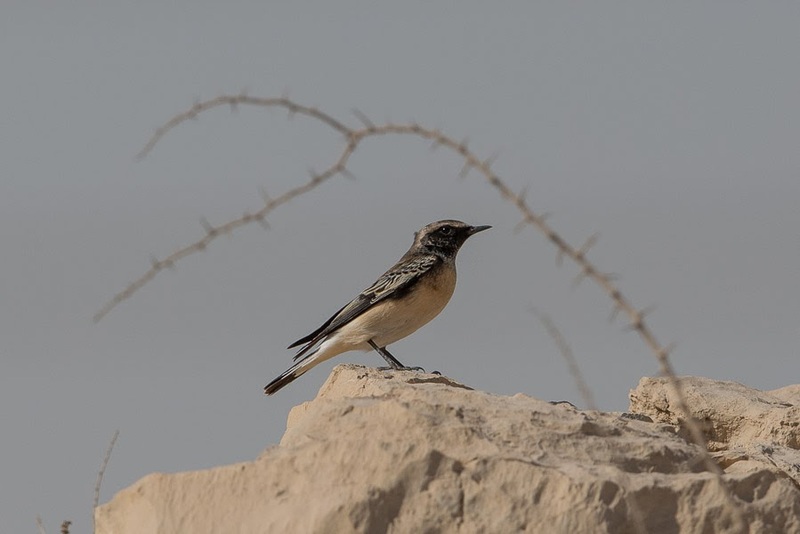 Three Isabelline Wheatears were on the spray fields along with a juvenile Purple Heron. 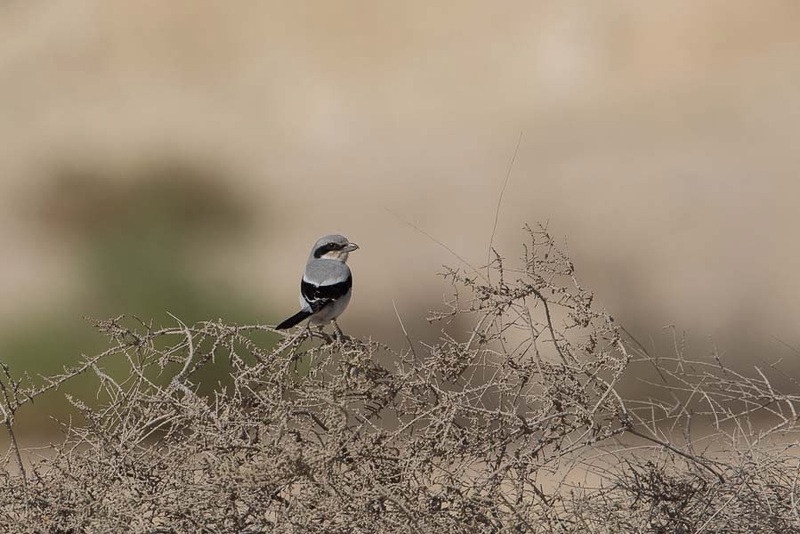 The only other bird of note was a Mauryan (Steppe) Grey Shrike at the edge of the dry percolation pond. The settling pond had a few birds with an increase in wader numbers. Thirteen Little Stints, seven Ruff, three Wood Sandpipers, three Common Snipe and a Temminck’s Stint were on the muddy edges and three Yellow Wagtails were on the concrete surround. 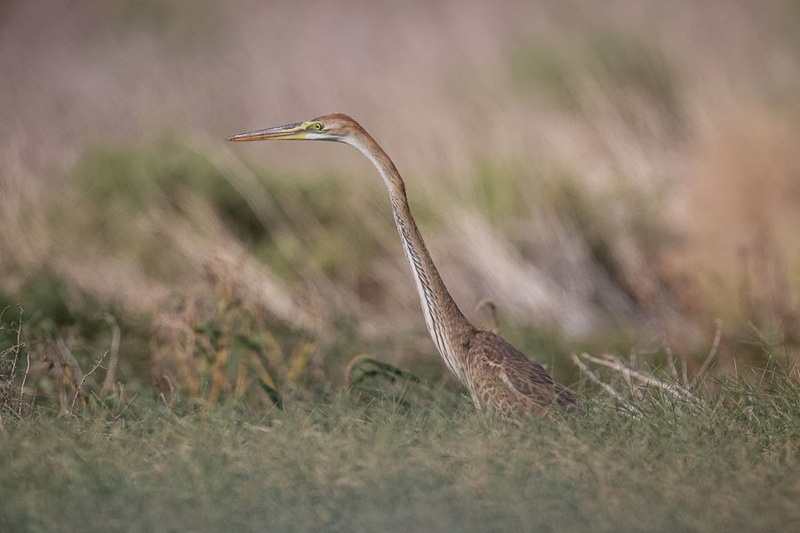 A single Clamorous Reed Warbler was seen briefly in the small reed patch in one corner.